Built between 2001 and 2004, Royal Caribbean's midsized (approximately 2,000 passengers) Radiance-class ships are characterized by the sheer amount of interior spaces enclosed in glass, providing nearly nonstop views of the ocean. With over 3 acres of glass on each ship, cruisers can see the ocean from almost any vantage point, whether on a glass exterior-view elevator, in the two-level glass-enclosed dining room or lounging beneath a retractable glass roof by one of the Radiance-class ship's three pools. Because they are smaller, the Radiance-class ships have less to offer in the way of bells and whistles than Royal Caribbean's newer -- and bigger -- ships. Cruisers will find rock climbing walls and mini-golf courses onboard the four Radiance-class ships, as well as three pools, three whirlpools and the adults-only Solarium, but no adrenaline-pumping on-deck activities like surfing or skydiving. 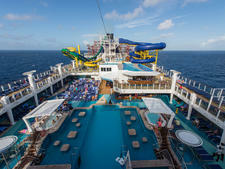 Fun on Radiance-class ships is had primarily through traditional cruise ship activities like trivia, bingo, silly pool games and dance classes. Most Radiance-class ships have a decent selection of eateries, though which restaurants are available varies from ship to ship. (Jewel of the Seas has the smallest selection.) 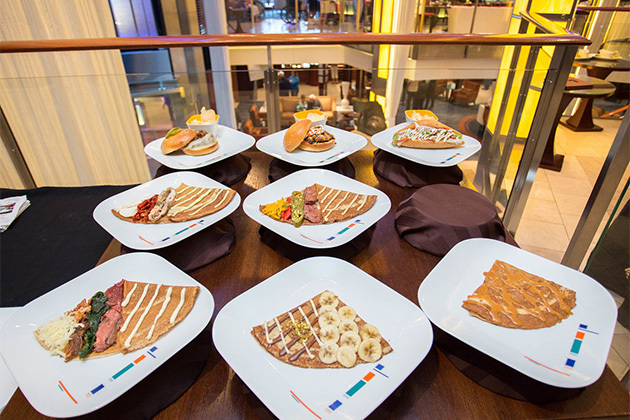 At the very least, all Radiance-class ships have a Chops Grille, Izumi and Giovanni's Table; all also have the grab-and-go Cafe Latte-Tudes, for extra-fee specialty coffees and pastries. 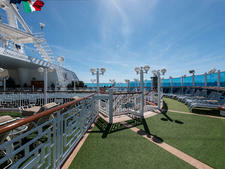 All four ships have the popular Viking Crown Lounge, which has been phased out on many other Royal Caribbean ships. Brilliance, Radiance and Serenade of the Seas have the most included and extra-fee dining options, while Jewel of the Seas has the least. Brilliance and Radiance of the Seas have a Park Cafe and Rita's Cantina; Radiance also has a Samba Grill and Boardwalk Dog House -- the only Radiance-class ship with those two eateries. Serenade of the Seas has a Park Cafe. In addition to the Schooner Bar, which all the ships have, Brilliance and Serenade of the Seas have R Bar, Vintages Wine Bar and an English-style pub. Jewel of the Seas has the Vintages Wine Bar, and Radiance of the Seas has an English-style pub and a Champagne Bar. Brilliance, Radiance and Serenade also feature a Royal Babies & Tots Nursery, with for-fee babysitting, while Jewel of the Seas does not. The four Radiance-class ships are best for cruisers looking for a smaller mainstream ship with a focus on relaxation and casual fun. 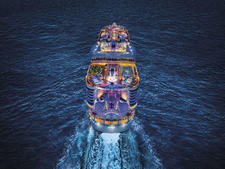 If you're looking for the Royal Caribbean you see in TV commercials, you won't get it on the Radiance-class ships. But, if you don't need a lot of stimulation, can be content with port visits and some old-fashioned cruise entertainment, the Radiance-class ships could be a great choice. 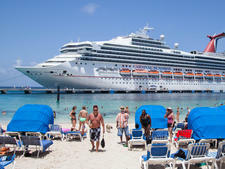 Radiance-class ships are typically stationed overseas, in Europe or the South Pacific, so might be the right choice for cruisers driven by destination, rather than shipboard amenities. Cruises on Radiance-class ships tend to be more moderately priced than those on Freedom-, Oasis- and Quantum-class ships, but more expensive than those on Sovereign- and Vision-class ships.